A common response to the rising use of information as a weapon is to counter such attacks with more strategic communication—as if volume is the answer. The problem with this response from established actors, such as governments and militaries, is that it continues to perceive communications as a one-sided, outbound process, rooted primarily in the message itself (its truthfulness, for example) and the strategic needs of the communicator. Unfortunately, in a hyper-connected world, one can no longer just put messaging out there. Once a message is pushed out, control of it is lost, and an adversary can and will subvert and shatter it into myriad distortions that ricochet back and hurt the sender. Likewise, any actions on the ground contradicting the messaging, will also be used to attack the sender aiming to erode public faith at home by exploiting hypocrisy, creating ambiguity and, ideally, disrupting decision-making. 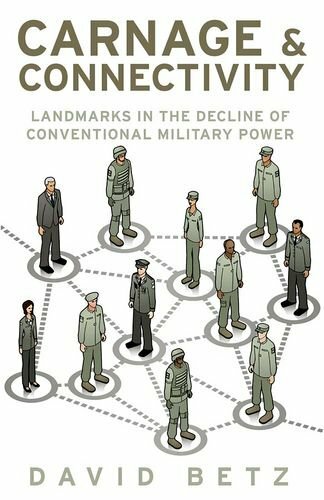 Due to theater engagements, militaries have been grappling with information warfare and related challenges. While there is still room for improvement, the key lessons from these engagements must be pushed up to a national security strategic level if societies are to become more resilient in facing the threats posed by information warfare. This article explores what the evolving information environment means for strategic communications planning and leadership in conflict scenarios, as well as what it means for liberal democracies. It is impossible to control a message once it is released. Every message and action will be distorted by an adversary to their benefit, to not just win hearts and minds within the conflict region, but also to disrupt decision-making and support for campaigns at home. As a result, when drafting messages in support of strategic objectives, communicators must include an evaluation of both how they will be perceived by an adversary or populations within a conflict zone and how their potential distortion could affect domestic audiences, including fomenting opposition to government policies on military engagements. This is not to say military communicators take the lead in government communications efforts to present or explain a particular course of action. The ultimate responsibility for any military activity abroad, and its explanation to constituents, still rests with the political leadership. This means two things. First, any activity (messaging or operation) in a theater must be evaluated against its counter-messaging, based on an adversary's known modus operandi. Second, a decision to engage abroad must be preceded by a close collaboration between senior government and military communications planners to assess and exercise scenarios, especially those that have the potential to affect public policy. In liberal democracies, governments and militaries are not operating in isolation. The pluralistic nature of our societies encourages a healthy debate over government decisions and, in fact, constitutes one of the strengths of democratic societies. As such, the political stage is open to many other actors, including academics, activists, non-governmental organizations and others who also attempt to persuade the public in support of their democratic choices. These activities aim to exert influence on public opinion, politicians and, in turn, military actions abroad. If such activities are conducted legitimately, in other words without inciting violence, they contribute to a healthy dialogue over a nation’s strategic choices. However, in the emerging atmosphere of simultaneously increasing global competitiveness and strategic entanglements, this strength of pluralistic and open societies becomes a weak link when conflicts between key global actors spills into the information space. Adversaries can exploit this plurality of opinions by creating messaging that resonates with some domestic actors, providing them with content and opportunities to engage further on contentious topics through participatory propaganda, whereby audiences pick up, adapt, and further spread persuasive messaging. Often, such information manipulation builds on existing anti-establishment sentiments, which plays into the hands of self-interested politicians and sympathetic actors within the target audience who begin to use it. Often, such information activities will target civilians to provoke and deepen national discord. Winning hearts and minds among an audience that is not predisposed to align with the message source is extremely difficult. Instead, savvy adversaries will simply aim to paralyze a target country’s ability to do anything by sowing doubt and discord. The British government faced these challenges in struggling to gain popular support for their military intervention in Syria. Indeed, even their decision to provide humanitarian and non-violent aid to opposition groups inside Syria has faced criticism, with some independent journalists and academics viewing support for a volunteer group of Syrian first-responders as a plot for regime-change. 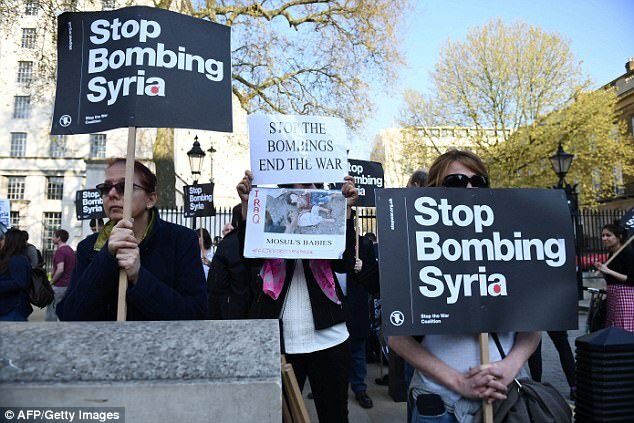 The Anti-War Coalition, a group backed by politicians such as Labour Party leader Jeremy Corbyn, staged protests against U.S. bombing in Syria outside Downing Street (as opposed the American embassy) and a group of respected academics publicly decried, via a letter to The Guardian, intervention efforts as a direct contribution to increasing terrorism in the U.K. Such criticism has been actively taken up by a combination of anti-imperialist, anti-war, and alt-right groups, mainstream politicians, alternative media, and established academics. Personal attacks certainly are not new. However, the internet affords more opportunity for unearthing information that can be used to erode an opponent’s credibility and to provoke response where perhaps a response is not warranted or best. Personal information about those serving can be used publicly to attempt to disrupt operations and decrease wider trust for the military and other government institutions. In addition to being used in counter messages, personal information could also be used in targeted spear phishing campaigns to create fake social media or email accounts to breach sensitive networks as well as to compromise individuals. If those on the receiving end are too sensitive or can be provoked into an action as a result, they are an operational risk to the mission. The surfacing of controversy and mistruths from the Foreign Minister’s past, which she claims is part of smear campaigns led by the adversary. These attacks won’t just be used to undermine support of allies engaged in the conflict, but also support for the mission at home. Civilians whose collaboration is made public will also be attacked online, discouraging others from showing their support openly. Information warfare is systemic and continuous—it is more than fake news and botnets. In recent years, the relationship between key global nations has deteriorated to a point of a continuous information conflict. In this undeclared, but no less vicious war with tangible casualties, savvy actors use ambiguity to disrupt adversary decision-making, increasing their playing field and range of information-weapon choices. They will take actions that can be perceived in multiple ways, such as claiming to send humanitarian aid into an area, when perhaps sending in military support. The situation would be left deliberately murky providing the adversary with multiple responses depending on the reaction their action provokes—for example, if they are accused of sending in military support, they will claim that is a lie and use the accusation as an example of how they are always distrusted to gain more media coverage and support at home. If nothing is said or done, however, the situation can be used to demonstrate to the invaded country/region that no support from NATO would be forthcoming. Since everything is up for interpretation, in information warfare the worst position to be in is defensive—and the adversary knows this. While adversarial propaganda to its home audience might focus on themselves, winning hearts and minds abroad is more challenging particularly in hostile countries. Instead, adversarial propaganda will focus on NATO and its members, pushing information back to those domestic audiences aiming to erode support for a mission. Activities such as exercises, troop movements, or surveillance would all be interpreted as aggressive, questioning the point of NATO and the nature of the mission. Accidents, loss of life, terrorist attacks, or other economic considerations will all be spun and used to target the country which incurs such costs, aiming to cause divisions between NATO members. What Does This Mean for Communication Strategists? As discussed, it is impossible to maintain control of a message once it has been disseminated in the evolving information environment. Strategic policy makers and strategic communication specialists must be prepared for every action taken by them (messages or activities) to be misconstrued to the adversary’s advantage, particularly if such actions can be perceived as hypocritical to the originator state’s professed values. This distortion of message and action will then be strategically fed through existing channels back to domestic audiences to disrupt decision-making at home. Liberal democracies are particularly susceptible to this type of strategic communication ricochet. As Jowett and O’Donnell note in Propaganda & Persuasion, “Open societies are constantly faced with negative disclosures in the press that provide ammunition for propagandistic attacks.” The internet has “made it possible for those wishing to propagandize to make direct contact with their target audiences.” In turn, David Betz, the King’s College War Studies professor, noted in Carnage & Connectivity, that a growing culture of hyper-transparency coupled with an expressed mandate by NATO members to be truthful can put manipulative and deceptive strategic communication tactics at odds with overarching public values. This pressure is further complicated by a perceived relativity of what is true in a post-truth era. Once such disclosures of methods and messaging becomes public, they can be used to further political agendas as the adversary sees fit. In an age when information travels quickly, passed between proxies and self-interested parties into the media, such messaging can be obfuscated and taken up by domestic actors when it aligns with their interests, and as such has a much stronger influence on target domestic audiences than when similar messaging is delivered either by the government or adversary. This can be particularly challenging for strategic decision-making in liberal democracies, where the freedom of choice by citizens is expected to influence politics and power structures –– and informs decision-making on when to enter a war. Despite the rather misleading term, information warfare, much of what now happens between adversaries in the information environment goes far beyond a military’s mandate, at least in most NATO member countries. Indeed, building resiliency to face the challenges threatening a hyper-connected society must happen at a national-strategic level, which demands an all-government approach and engagement of civil society. In many ways, hyper-connectivity has made democracy critical infrastructure that needs maintenance and protection if it is to survive. And while the U.S. designated its election infrastructure as critical in 2017, the real discussion about what constitutes a national information space for most liberal democracies in the 21st century still lies ahead. Alicia Wanless is a strategic communications professional researching propaganda and information warfare. Michael Berk is a Visiting Research Fellow with the Center for Cyber Security and International Relations, University of Florence, and Principal at Alton Corporation.